Nine signs that you need help with your Pinterest account! 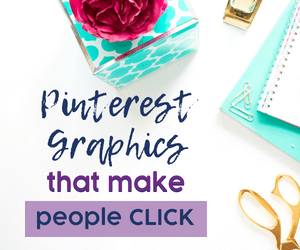 If you have been paying attention to the discussions that I’ve had in the past, and you’ve been following me for a while, you know that Pinterest has really helped me and many of my clients increase their traffic and sales for a wider range of niches. 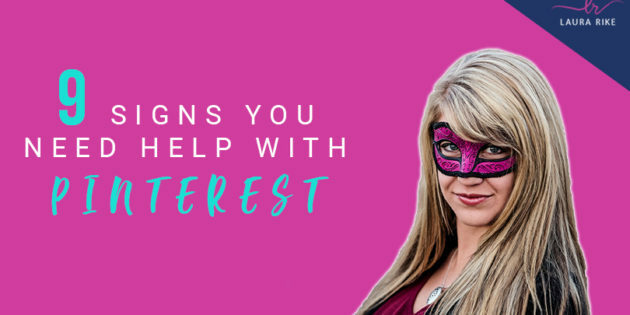 But you may be in a place where you’re not sure if it’s a right fit, to hire someone to help you or to learn what you don’t already know, to increase the potential of your Pinterest account, right? I really want to help you guys understand different things that could be happening on your account that you may not already know. Number one is that you have a profile, but you’re not seeing any ins and outs of the analytics, right? So you are on Pinterest, you already have an account, but you’re not sure if people are clicking. If people are not clicking. There’s really no like back end information for you to go from the right. So the first thing to check is if you actually have a business account or not. 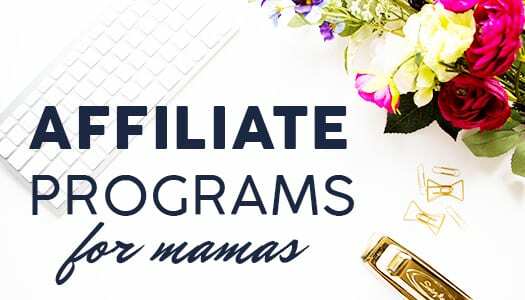 A lot of people are on Pinterest but not a lot of people know that they can put their account on to a business account to be able to get the analytics and the traffic between Pinterest and their website or where they’re trying to drive people to. So if you’re not sure if you’re on a business account or not, you can go to business.pinterest.com and that website will actually walk you through how to switch to a business account. If you log into your account on the top right-hand side you’ll see the gear bar for your settings. You click on that and click into your settings and it will either say profile name or it will say the business name. If it says profile name, you still have a personal account and it may be time for you to look into switching to a business account. Well, number two is how a lot of people run their Pinterest account. You pin when you have time. So there’s no real schedule or strategy behind the times that you pin to your account. You may have it on your phone and save a couple of things from your website that may be posted a while ago that you forgot about. Maybe you’re sharing somebody else’s content. Then you set your phone down, you go for two or three days without even thinking about Pinterest again. It might be a sign that there’s maybe not enough time in your day for you to be able to handle that, which is totally fine, right? Maybe it’s a sign that you’re maybe overwhelmed with coming up with a strategy and you’re not sure about how to come up with that. 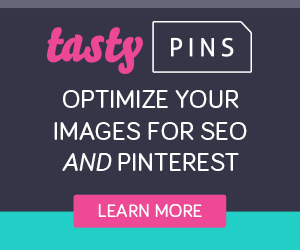 Maybe you are not sure if you have enough content to even be on Pinterest right now. And so you only pin when you think you have enough content, right? Those are all pain points that we’ve seen as a Pinterest virtual assistant and that’s totally fine. That’s where people start out, but random times are not going to actually get you the benefit on Pinterest. Pinterest will reward those who are consistent on their platform. So maybe it’s time that you look into working with a Pinterest coach or someone who knows Pinterest in and out. Maybe if you’re in the boat where you just don’t have enough time so it’s just when you quick have a second to get on to Pinterest, then I would suggest you look into hiring a Pinterest assistant (like me lol) because they would be able to help you get that consistency going! Reason number three that you need help with your Pinterest account if you have followers on your account, but you don’t have the monthly engaged viewers. So you have a ton of people that are following you, but they’re not actually clicking through your pins repenting or anything like that. We talk about a lot on my page, and with people that follow me how monthly engaged viewers is a vanity number. Even though it’s a vanity number, it can still give you good analytical data into things to switch for your account. So if you have a ton of followers, but you don’t have actually engaged viewers monthly, maybe there’s some disconnect. Maybe your account got marked as spam accidentally. Maybe they’re not engaging because the graphics aren’t what they are looking for. Maybe there are different things that just aren’t sitting right on your account that need to be switched or optimized. 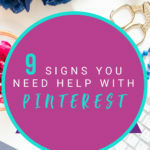 These are all things to look into and decide if it is time to switch up how you are using Pinterest for your business. 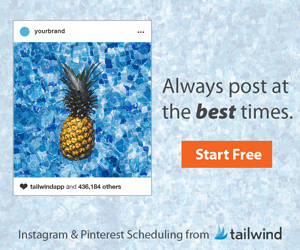 If you pin one pin multiple times when you upload it, you might need to take a step back and check in on new strategies they request from its users. So say you have 10 boards on your account. You can have one pin can be relevant to four different boards. So you go in and you pin it from your website on to each of those boards right now in this five-minute span. 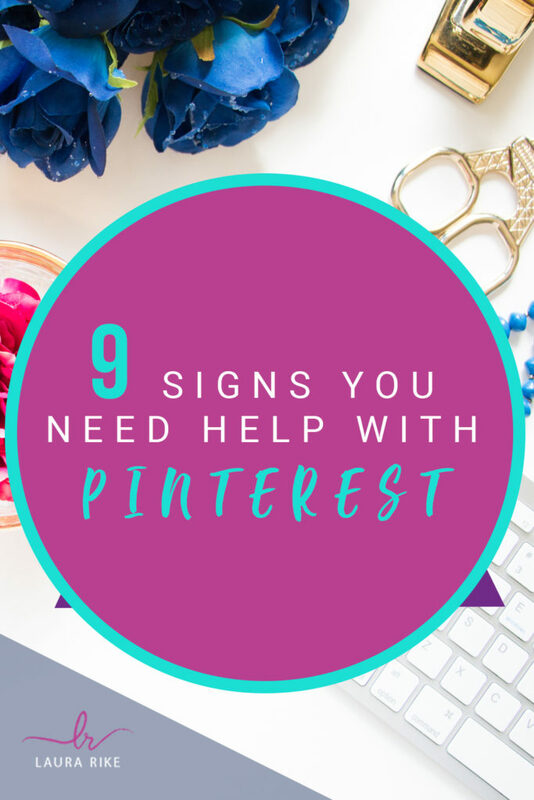 That’s a clear sign that you need help with your Pinterest strategy because what I’m telling you right now is you may not know what which is totally okay. One of the things that people are struggling with is when they save a pin to multiple boards, they’re not realizing that Pinterest changed and they don’t want you to save that pin multiple times right away. They consider that a spammy attempt to get traffic back to that link. It might be time to be talking with someone that knows the best practices and can help you. 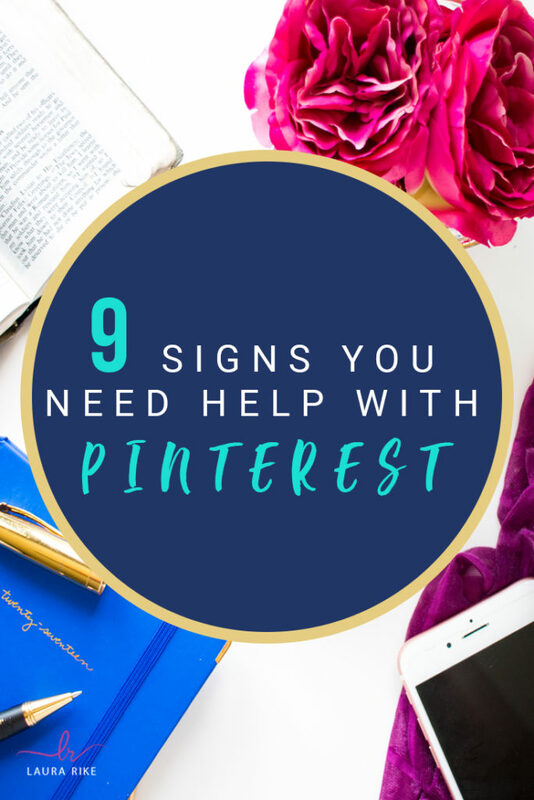 If you’re pinning that one thing multiple times within a short amount of time, then it might be time to figure out a different strategy because Pinterest actually doesn’t approve of that anymore. You can get your account marked as being a spam account, trying to get them to go to that link that you’re promoting. Why you might be stalling out on your Pinterest account if you’re overwhelmed right now, with the thought of creating a strategy. So maybe you’re like, what is this tailwind thing? What do you mean I need to create board covers? What do you mean? Do I need to test two different pin designs? Maybe you’re not sure how many times to pin a day based on the content that you have. Maybe you don’t even know how much content you have because you’re not sure of all the places you can pull from or repurpose from one month. So if you’re overwhelmed with the thought of how to create a strategy, or what even strategy for Pinterest means, I get it. I used to be there. I used to be knocking my head against the wall. Like, I swear I had a strategy and maybe my strategy wasn’t right. When I started figuring out the exact steps to take, and the things that I could do to grow that on the back end, it was glorious you guys like night and day different! So if you’re overwhelmed, there are people that can help you. Come up with that strategy. 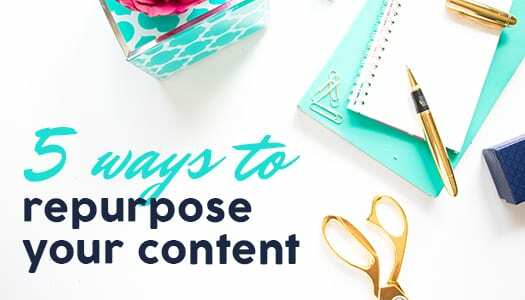 If you’re spending a lot of time, and you’re still not getting the traffic, maybe you’re putting a ton of content out there. Maybe you’re engaging with a ton of different pins and read pens and you feel like you’re doing all the things, but you’re not getting the traffic on the back end to where you want them to go. It might be time to start looking at a different strategy for you guys. Are you doing the things in the description that need to be done the call to action, the links are the links actually clickable are your graphics giving them a clear answer to why they should be clicking through. I go into Pinterest and when I pin something on Pinterest or tailwind, I just assume and type in the keywords that I think people are looking for. Right? If you do that, totally cool. Time is precious. I urge you though, to slow down and take more time to put the effort into finding the right keywords and search phrases to help your pins. If that’s not your niche that’s totally cool. Maybe it’s time to hire someone that can do that research for you. 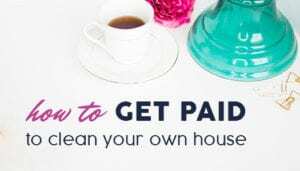 There are people who could help you with just this piece of the puzzle too if you don’t have the whole budget to pay someone to manage the account for you as a whole. Love, it’s easier to make time for things that you love, right? So if that’s exhausting, or you don’t have enough time in your day, maybe reach out to somebody that can help you. And like I was saying, maybe it’s not even that they take over your entire account and manage it for you. But maybe you hire someone to be like, Hey, can you do a monthly check for me of new keywords? Your graphic design skills aren’t the best, but you try goes back to that thing. If it’s not what you love, don’t force it. Maybe they are your brand colors, but they’re just they don’t have that possess that you want. Or they’re bland. Or maybe it’s not that they’re bland, but maybe it’s not answering the why question for them in that design, right. You want to make sure that with those designs you’re focusing on what is going to appeal to them and get them to click. If you still think that hashtags are only for Instagram and Twitter, then we need to talk. Hashtags are going to be a good friend of yours on their platform. If you’re anything like me, and you have things in your strategy for your business and growing your business and you know that it needs to be done, but you don’t have the time for it, you’re not sure of the best practices. You don’t have time to learn it. Then please take this as a sign to reach out to somebody that knows Pinterest in and out and loves it passionately. 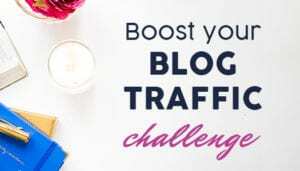 So that they can help you with that strategy because I’m telling you, if you find that person, your organic traffic can explode exponentially. In conclusion, there are reasons why you are not getting as many followers, as many clicks through, as many monthly engaged viewers as you want, organically without paying for it. Connect with someone that can help you – like me! I hope these signs were helpful to you. I hope this makes sense. To help you guys best understand ways to be able to know how to fix problems on your Pinterest account. I want you guys to see the signs that it might be time to pick a new strategy and how to tweak things so that you can get the most exposure for your time on the platform. #goldboldnugget. It’s easy to make time for what we love!!! I have so much content. I so need a strategy! Cyndilu Miller you got it. 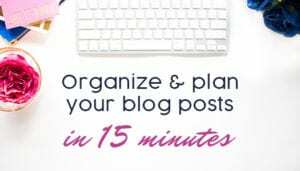 Can you list out the places your content lives in a post, and post it into the Pinterest boot camp group. I will draft up a strategy for you.